Who's ready to sign up with the United Federation of Planets? Cryptic has launched the registration page for the closed beta testing phase of Star Trek Online. Closed beta - the initial frontier. These are the voyages of the Star Trek Online beta tester. Your continuing mission? To explore strange new worlds; to seek up new bugs and report them to Cryptic; to boldly go where only a handful of people have gone before. Interested parties are urged to visit www.startrekonline.com to sign up for their chance to help make Star Trek Online the best game it can be. "Closed beta registration is an important step in bringing Star Trek Online to the public," said Craig Zinkievich, Executive Producer on Star Trek Online. 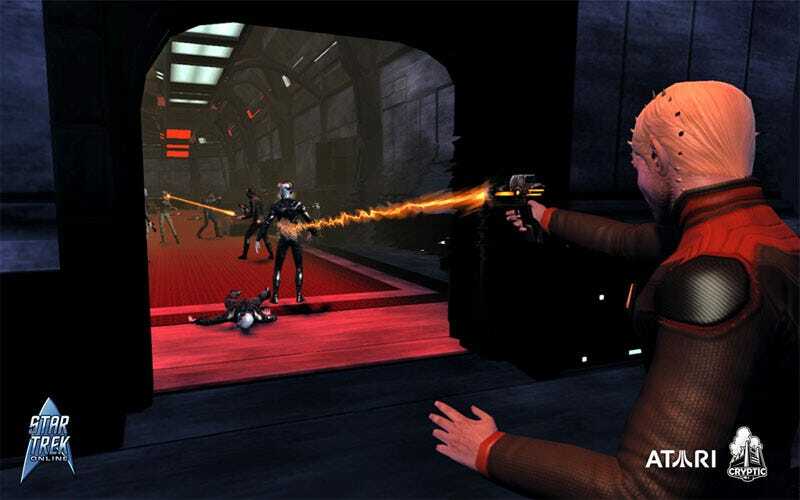 "We are looking toward the launch of our first-of-a-kind MMORPG with anticipation and excitement and we expect Star Trek Online to explode onto the scene, giving fans and gamers a Star Trek experience like no other." I'd say your chances are pretty good if you sign up early. How many fans that enjoy both Star Trek and PC gaming can there possibly be?